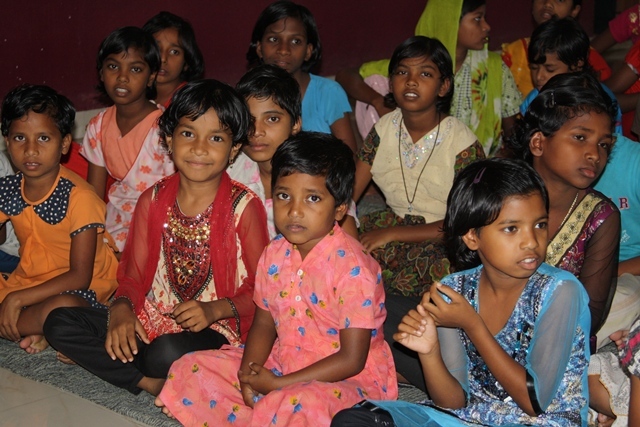 Pema remembers the day she came to the children’s home in India. A kind woman held her hand and gently led her up the steps to a building with fluttering curtains. Inside, the walls were decorated with hand-drawn pictures that she quietly admired. It had been a long time since she smiled. This children’s home in India is a safe haven for children rescued from extreme poverty, life-threatening disease, abuse, and total abandonment. It’s a place where they feel safe, refreshed, dignified . . . empowered. But it still needs more . . . something very important—a working bathroom facility. In order for the home to provide the best quality of care for these rescued children, it must have the facilities to match. And we want to help. Can you imagine if we still had to battle water-related illnesses like typhoid fever, cholera, diarrhea, or hepatitis A? Thanks to improved sanitation, we no longer have to. But in developing countries, these are an everyday reality. This year, more than 3 million people will die from diseases related to contaminated water, dangerous sanitation, and poor hygiene—and most all the deaths will occur in these countries. When we make a promise to care for disadvantaged children around the world, we mean making sure they are 100 percent healthy. But that can’t happen without clean water and proper sanitation. World Water Day is just around the corner, and we’re making a pledge. A promise to do everything in our power to see that children—and adults—have clean water and sanitation methods needed to lead healthy lives. There are still 2.5 billion people on the earth without access to improved sanitation. That’s unacceptable. So on March 22, we’re asking you to join us in making this pledge—a declaration to people without clean water sources that we care about their health . . . and we’re doing something about it. And when we do, the quality of childhood health will improve dramatically. Maternal mortality rates will decrease. More communities will experience economic stability. And the future will change for the better. Tell children, like Pema, that you don’t want them to be sick anymore. Tell them they deserve to drink and bathe with clean water . . . they deserve to be healthy! Let’s make our pledge . . . and then let’s tell the world. We’ve made it easy for you to share your pledge and personalize your own campaign. Go to causelife.org/pledge to learn more!